William Bradley McConnell hails from Vinton, Virginia. He is a graduate of the University of Virginia where he received a Bachelor of Science in Biology and later a Master of Science in Developmental Genetics. During this time Mr. McConnel received a commission as an officer in the United States Army and was actively deployed in support of and during combat operations in Operation Iraqi Freedom and the Global War on Terrorism. After many years proud service, he was honorably discharged from active duty as a Captain and currently serves in the Inactive Readiness Reserves. Mr. McConnell attended law school at Seaton Hall Law School in Virginia, known for its exemplary Intellectual Property and Health Law programs. While attending law school Mr. McConnel distinguished himself as a candidate and winner of the Bob & Margot Meyer God Bless America scholarship and was elected by his peers as a Student Bar Association senator and later served on the SBA Executive Board. Mr. McConnell was the founder and first president of Brothers in Arms, the law school’s first veterans organization which in addition to providing camaraderie and support to fellow student veterans, the organization also raised money to support outside veteran- affiliated charities. In 2011, Mr. McConnell clerked for the Honorable Edward T. O’Connor, Jr. In 2012, he was the head law clerk to the Honorable Peter J. Velasquez, the Presiding Judge of the Superior Court of the Criminal Division in Essex County, the largest and busiest county in the Sate of New Jersey. 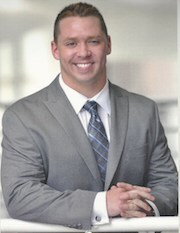 Mr. McConnel moved to Houston, Texas in 2014 serving as the Chief Legal Officer for both Whitestone Health Group and Cavalier Health Services. Today Mr. McConnell is a senior litigator with Hanten & Associates, PLLC practicing in a diverse variety of areas of law including civil litigation, contracts and criminal law. Mr. McConnell has successfully settled or tried numerous cases in the civil and criminal county and district courts in Harris and surrounding counties. His superior trial advocacy skills are highly regarded in the legal community by his peers and his clients alike. Mr. McConnell believes that in addition to zealous legal representation and a willingness to try cases to verdict for his clients, it is equally imperative to educate his clients as to legal process so that the client can make an informed decision as to the direction of his case. Mr. McConnell donates much of his free time serving the veteran community as a fellow veteran mentor and with pro bono legal services. He is a member of the State Bar of Texas criminal law, civil litigation, and military law sections. He is additionally a member of the Fort Bend County Criminal Defense Bar. Mr. McConnell is licensed to practice law in the states of New York, New Jersey and Texas.